Page Parkes Model + Talent: Another Page discovery turned HUGE name! Another Page discovery turned HUGE name! Page Parkes original discovery has just been named People magazine's "Sexiest Man Alive!" Congratulations, Channing Tatum! We are so excited for you! 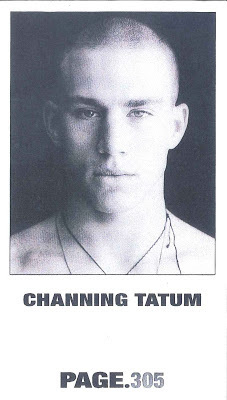 Channing's comp card when signed with Page.305 in Miami before Page.305 merged with Ford.